Adventure and be an Avenger? – Avengers S.T.A.T.I.O.N. Did you survive – the answer…. This themed bar has it all. Alcotraz is London’s first theatrical cocktail bar which is in Brick Lane. This is a one of a kind immersive prison experience. All of us convicted criminals (guests) had to dress in orange prison jumpsuits, we were issued a criminal identity number, learnt the art of smuggling contraband past guards, got locked up behind bars and enjoyed some delicious bespoke cocktails made by expert mixologists. This themed bar was inspired by the movies and TV shows that have brought to life America’s infamous prison. Alcotraz can accommodate up to a total of 40 inmates. This experience can’t be found anywhere else in London and it will leave you wanting to break back in. I sure do. 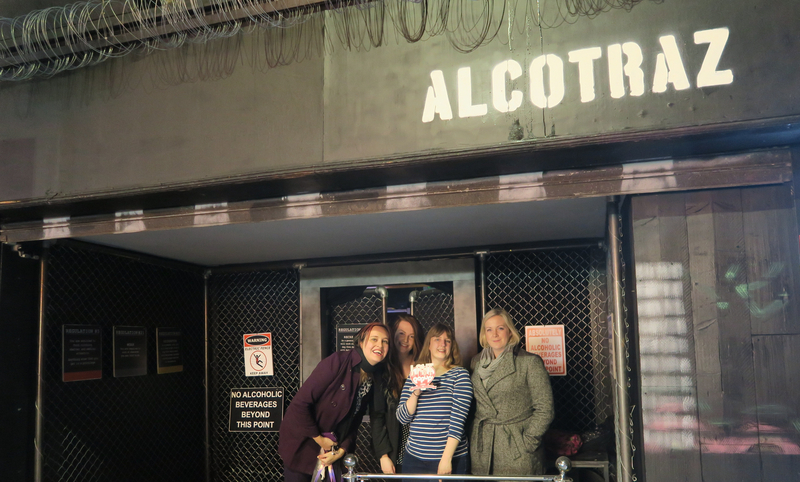 Thanks to Alcotraz who let some of us from Love Pop Ups London come down to get locked up and loose our minds within our cells on our smuggled contraband. Read our blogs/reviews from the comments section below. Live in London or near London? love discovering new popped up places/events? love to blog, review, vlog or Instagram? love opportunities? love promoting? Love Pop Ups London community via here. Love Pop Ups London is a community of social media influencers who love to help promote and spread the word about new popped up places from restaurants to events.